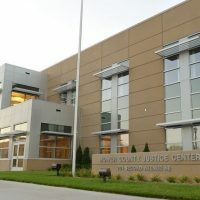 A Moorhead woman charged with kidnapping after it was reported that she had taken two of her children from a designated foster parent at a residence in the 200 block of Elm Street in Rose Creek on the evening of September 29th, 2018 has been sentenced to supervised probation in Mower County District Court. 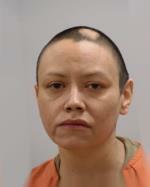 40-year old Izetta Rose Cooley was sentenced Thursday to two years of supervised probation for a felony charge of deprive of custody right-violation of court order-take minor. Two charges of felony kidnapping-to facilitate felony or flight were dismissed at the sentencing hearing as part of a plea agreement reached on November 26, 2018. An additional charge of felony deprive of custody right-violation of court order-take minor was also dismissed. According to court documents in the case, Cooley, with assistance from her son, Morgan, took two children from the residence in Rose Creek, even though the court order required them to remain at the residence. 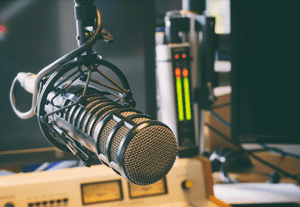 Cooley was arrested on October 2 at a residence in Moorhead, where law enforcement recovered the two children taken from Rose Creek as well as two children reported missing out of Moorhead. Morgan was reported missing until he turned himself in to Moorhead Police on October 5. Cooley’s husband, 45-year old Miguel Jay Cooley is a suspect in the September 23 shooting death of 20-year-old Gabriel Perez at a McDonald’s in Fargo, North Dakota. Miguel was arrested on September 24 at a residence in Rose Creek after fleeing the Fargo-Moorhead area. He was extradited to the Cass County Jail in Fargo, where he is currently awaiting trial on a felony intentional murder charge. As part of her probation, Cooley must follow 21 different conditions and pay $135 in fees. She also received credit for 11 days served in jail.